When a power outage left six towns in South Africa's Western Cape in temporary darkness earlier this week, the country's power utility Eskom did some digging (well, climbing) to discover the unexpected culprits: two tiny jackal buzzard chicks huddled in a nest. Image: Endangered Wildlife Trust (EWT). 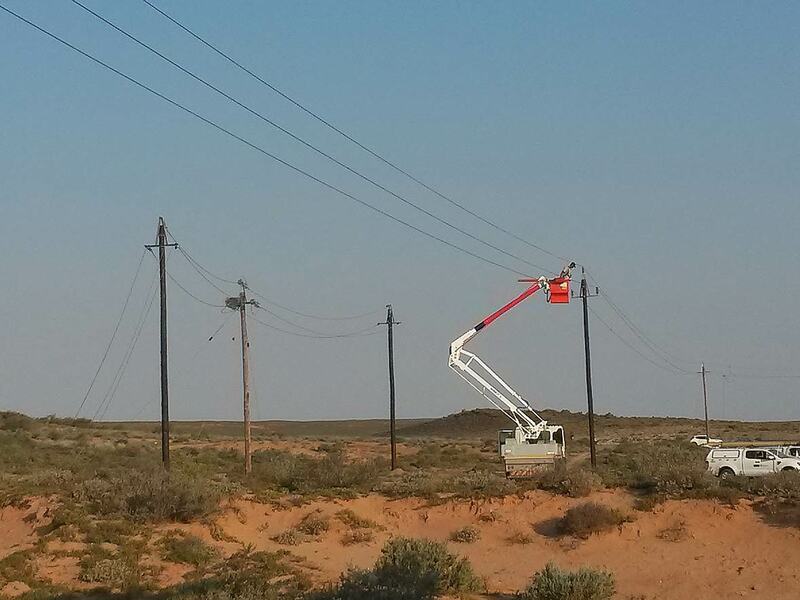 The power utility's employees are trained in managing wildlife interactions on electrical infrastructure, but this particular case called for extra expertise, so Eskom called in local conservation group Endangered Wildlife Trust (EWT). "Jackal buzzards aren't endangered, [but] they play a vital role in the sensitive, arid environment," the EWT team said in a press release. "Although several suggestions were put forward on how to resolve the outage, both Eskom and EWT [agreed] that the nest should not be removed." 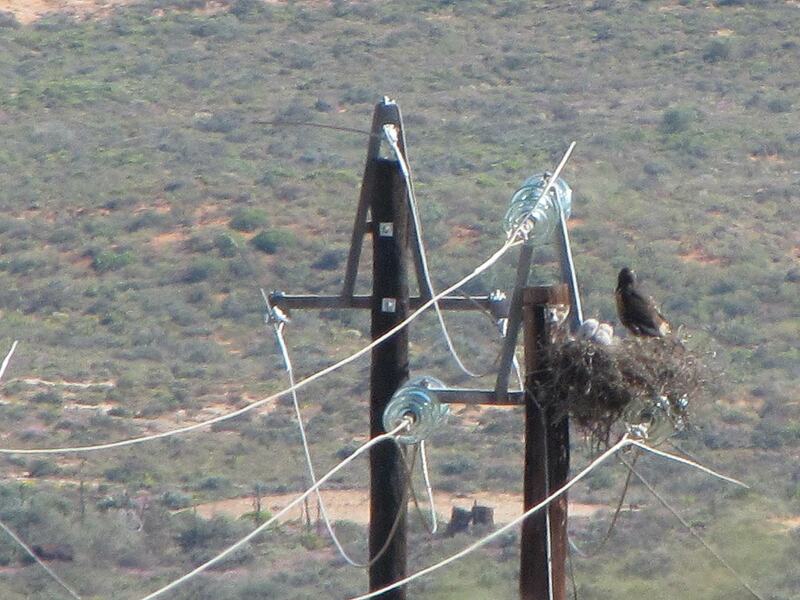 The course of action that would cause the least disturbance to these young African birds of prey was to re-route the power line in order to protect the nest. The team worked throughout the day to ensure the new section of line was up before dark, all the while keeping a careful eye on the two chicks. 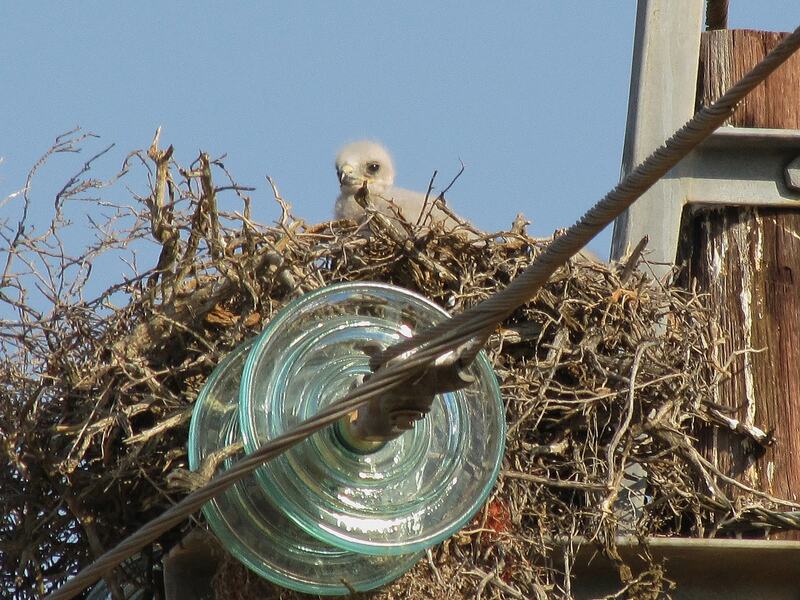 "Electric utility structures provide nesting sites for some bird species [but] depending on where nests are located, they may pose fire, safety, power outage, or an electrocution risk to birds," explained the EWT's Constant Hoogstad. Happily, it seems this case of crossed wires ended well and the buzzard mother was seen the following morning – a big relief for the workers, who were worried she would abandon the nest because of the disruption.